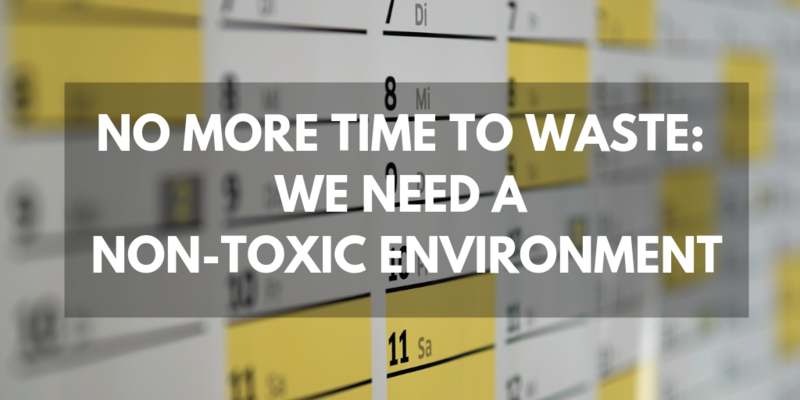 A European non-toxic environment strategy is urgently needed to dramatically reduce Europeans’ exposure to endocrine disrupting chemicals. Such a strategy is essential for driving innovation and the development of sustainable substitutes including non-chemical solutions, and is a prerequisite for an effective and safe non-toxic circular economy. Therefore EDC-Free Europe, a coalition of public interest groups representing more than 70 environmental, health, women’s and consumer groups across Europe, HEJSupport is one of them, who share a concern about hormone disrupting chemicals (EDCs) and their impact on our health and wildlife – and the Green 10, a coalition of ten of the largest environmental organisations and networks active on the European level wrote a letter to the EU Commission . We are writing to you on behalf of EDC-Free Europe, a coalition of public interest groups representing more than 70 environmental, health, women’s and consumer groups across Europe who share a concern about hormone disrupting chemicals (EDCs) and their impact on our health and wildlife – and on behalf of the Green 10, a coalition of ten of the largest environmental organisations and networks active on the European level . With this letter, we would like to draw your attention to the seventh Environmental Action Programme (7th EAP)  requiring the European Commission to develop a Union strategy for a non-toxic environment by 2018. We are very much concerned that this deadline has not been respected. The Green 10 European Parliament Manifesto prioritises detoxing Europe’s future and regulation to reduce people exposure to hazardous chemicals . We would like to reiterate the importance of such a strategy also due to the urgency to dramatically reduce Europeans’ exposure to endocrine disrupting chemicals. As this Commission’s term nears its end, we call on you to have this strategy finalised, to bring it out as soon as possible, and to make sure that these topics remain a priority for the next Commission  bearing in mind that the 7th EAP runs until 2020. Such a strategy is essential for driving innovation and the development of sustainable substitutes including non-chemical solutions, and is a prerequisite for an effective and safe non-toxic circular economy . It should also bring the much-needed coordinated approach and overarching framework for optimal health and environmental protection by addressing accelerating climate change, biodiversity loss, and the contamination of air, soil, water, animals and human health with toxic chemicals. It is also essential to have this strategy to ensure that EU chemicals policy is based on the latest scientific knowledge about chemicals and what their effects are on our health and the environment while promoting less wasteful, more efficient and cleaner consumption. ensure that materials are free from toxic components from the design stage and detoxify material streams with legacy chemicals so that they can be safely reused and recycled in a circular economy. The recent European Commission’s commitment to update its 1999 strategy on endocrine disrupting chemicals illustrates how critical tackling those chemicals is in order to successfully achieve Europe’s transition towards a non-toxic circular economy. We regret that the Commission’s recent communication on EDCs fails to address them with concrete actions that would truly advance health and environment protection . Therefore, we urge you to ensure that a future Union’s strategy for a non-toxic environment builds on and fully complements its forthcoming strategy on EDCs. Both strategies are urgently needed to reflect the development of science on the effects of toxic chemicals on health and the environment over the last two decades. There is a real business case for action to satisfy both greener industries already moving ahead and the public demands for safe circular production and consumer items. The EDC-Free Europe Coalition has already published a set of eight demands for a successful EU EDC strategy . We look forward to hearing from you about the Commission’s plans to present the European Union’s strategy for a non-toxic environment in synergy with the ongoing work for the updating of the strategy on EDCs. We would very much appreciate having the opportunity to meet with you to present our detailed proposals on these issues and remain available for any question that you might have. https://green10.org/wp-content/uploads/2017/06/GREEN-10-MANIFESTO-IN-ENGLISH-WITH-CONTACT- DATA.pdf (in 11 languages).